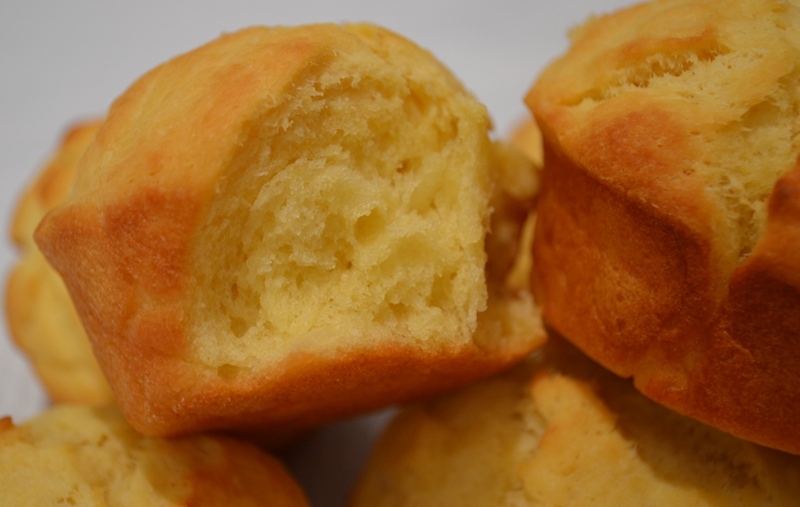 The look of my brioche kind of resembles muffins… only because I didn’t have a brioche pan and used the muffin tray instead to bake them… Next time, I’m going to leave them in ball shapes and let them free form on the baking tray! 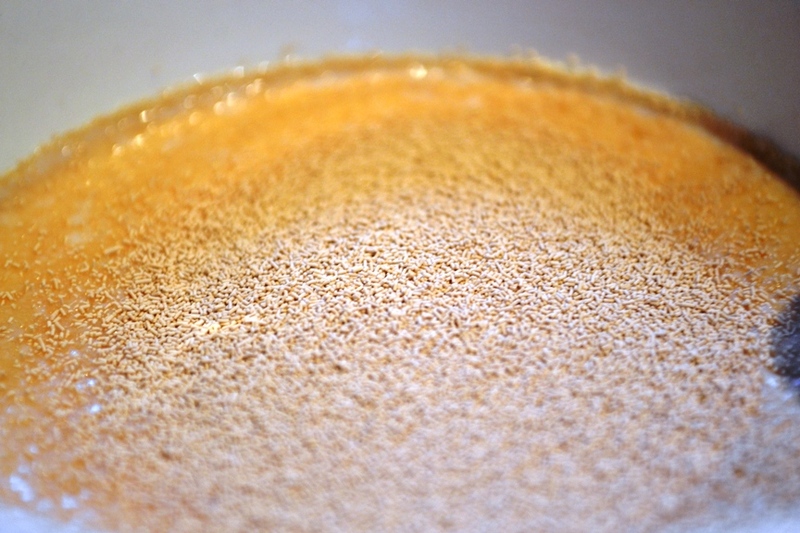 Combine the yeast, milk and 1 tablespoon of caster sugar in a small bowl and set aside until it becomes frothy. Combine the flour, salt and remaining sugar in a large bowl and make a well in the centre. Pour the yeast mixture and beaten eggs into the centre and mix well. 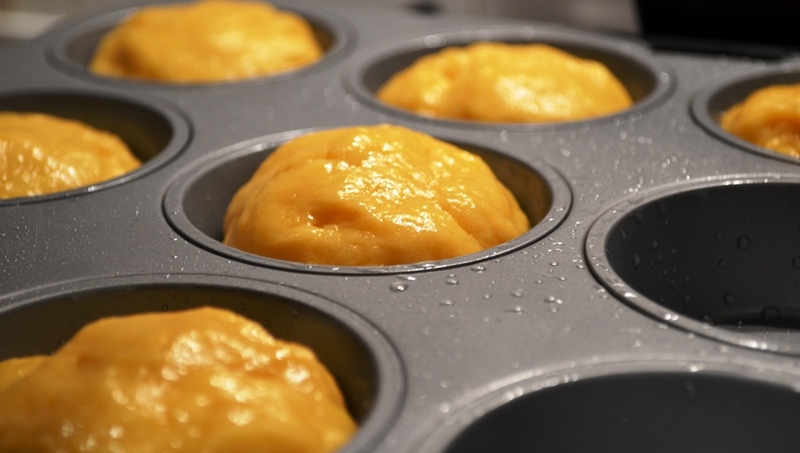 Place on a floured surface and knead until it achieves a smooth feel. 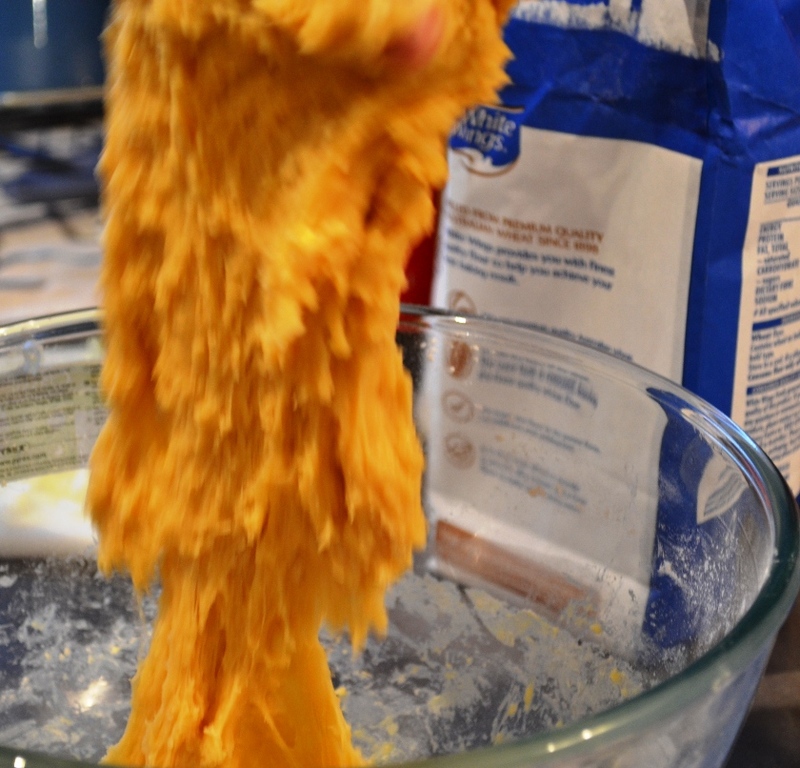 Add 2-3 pieces of the butter to the dough and knead until well incorporated. This is the critical point of kneading. You have to make sure that the butter is well and truly mixed into the dough. Once that’s done, set aside and transfer to a large bowl. Cover the bowl with cling wrap and keep in a cool, area. Note: The warmer the environment the faster the dough will expand and double. It was a very humid day in Melbourne when we did this, and it doubled in less than 30 minutes! Meanwhile, preheat your oven to 200 degrees celcius. 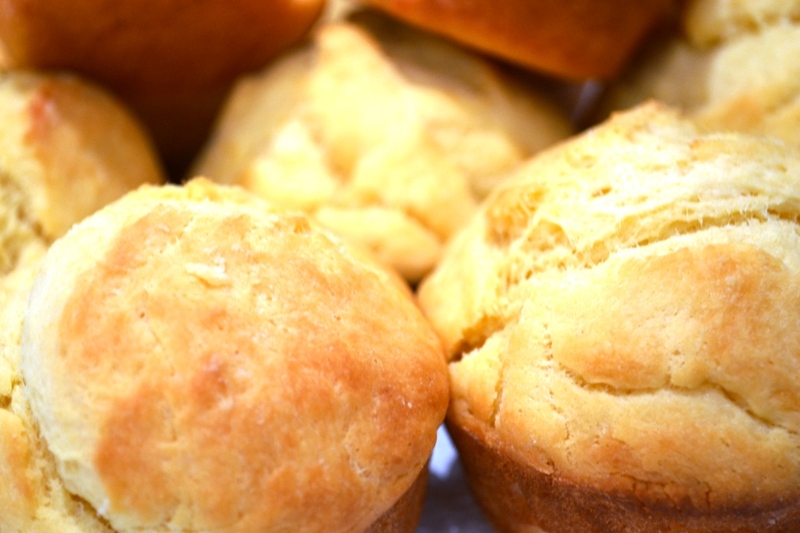 If you have a brioche pan (we didn’t and I used a muffin tray), grease it. Using your hands/fists, knead the dough for a while until it feels smooth. Roll the dough into a small ball and place onto the tray. Set aside to let it rise a little. Bake in a pre-heated oven for 12-15 minutes (again, depending on how warm the weather is, it may cook faster). To test when a brioche is ready, you could use the skewer test or tap the bottom of the roll (as it should sound hollow if cooked throughly). Serve warm with butter, jam, or like how I had it… with Nutella! I couldn’t resist and sneaked in a tiny little bite! Oh so cuuuute! 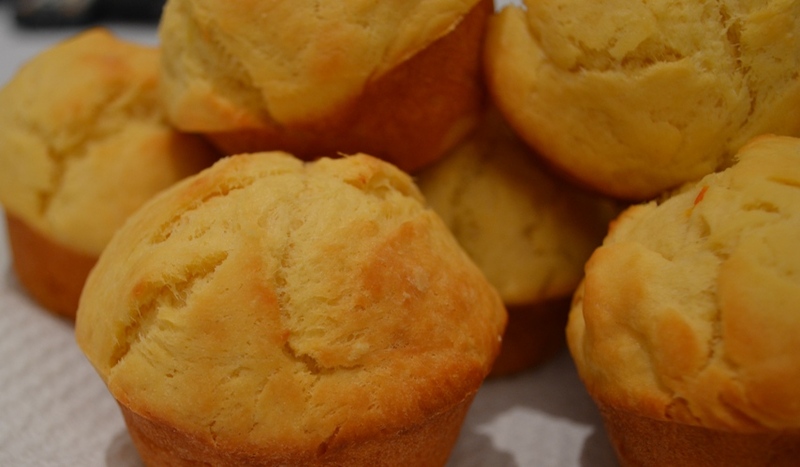 I love the way they look like plain muffins until you break them open and see the yummy buttery fluffy innards! I don’t think I’ve ever had brioche before, ^^;; are they like scones? anyway those look soo fluffy, I can imagine all the interesting shapes free form might turn them into! No no.. not like scones… suppose to be more like croissants… but in a round shape….! I like to sniff food smells coming out of people’s houses too. Sometimes when I go running around the block on weekends, I can smell the best barbeques and I just want to knock on the door and ask if I can join them. Looks tempting but I’m not confident making anything with yeast. Maybe I’ll start with this, looks fairly simple. You sniffer you! Hahaha… but it’s seriously easy to make ! If I can do it.. It looks absolutely delicious! I want some of those. What camera are you using to take these pics?